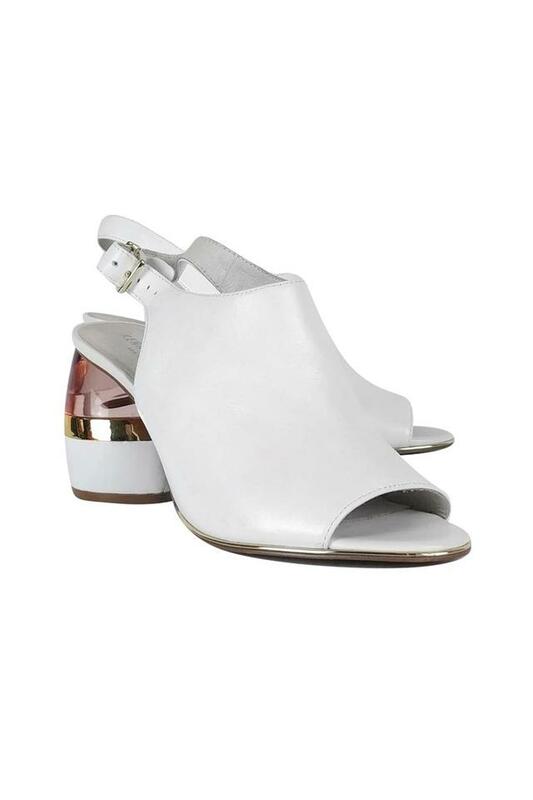 Stylish white mules with a stunning lucite heel. 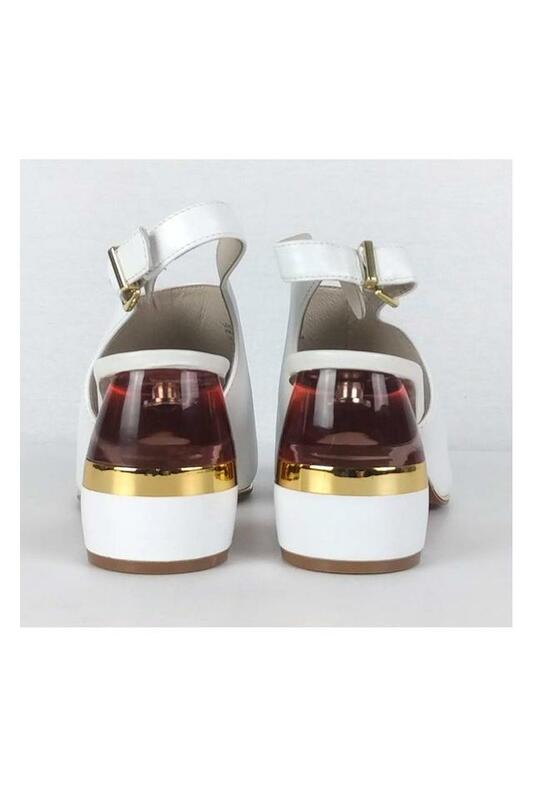 A peep toe gives them a flirty look. 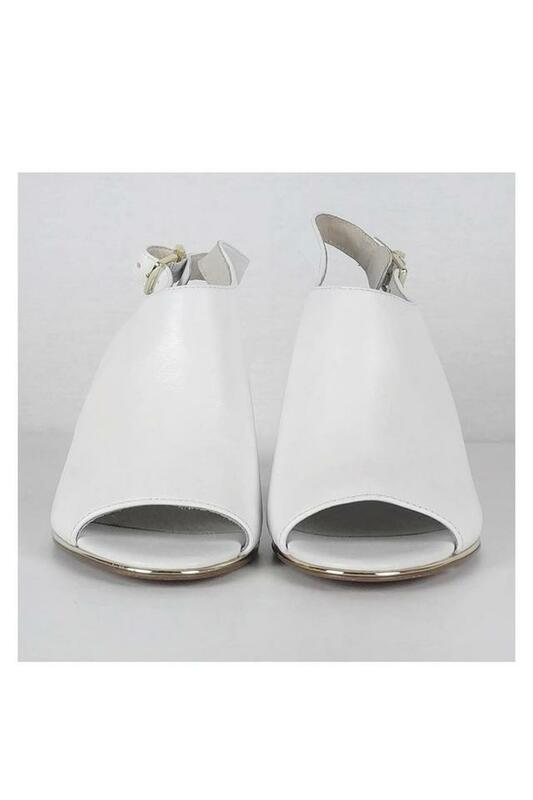 Pair these with any little black dress for a white and black contrasting look that will turn heads.